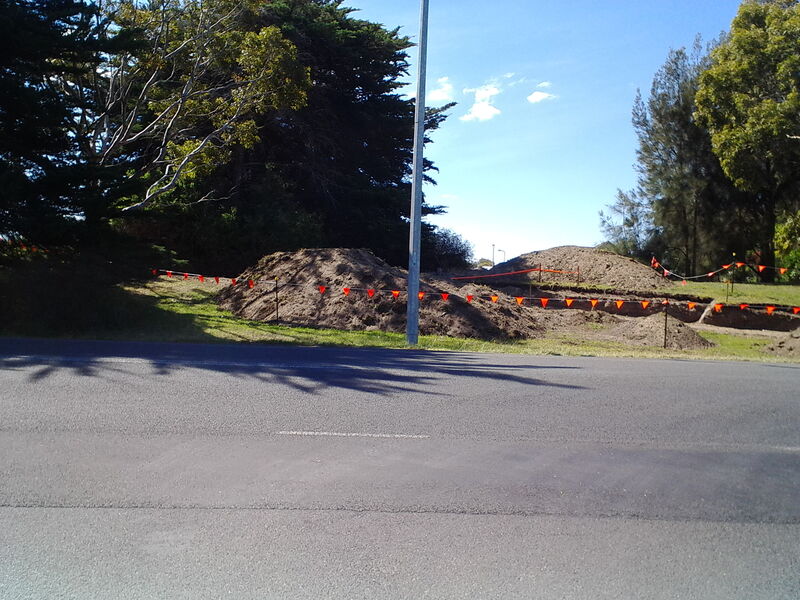 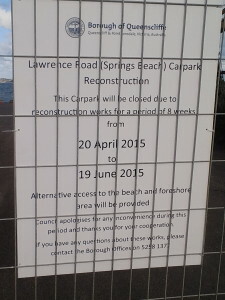 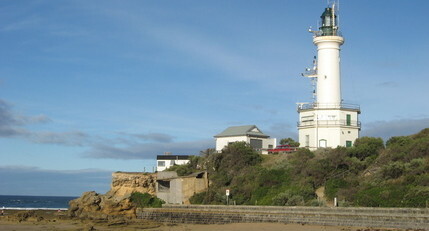 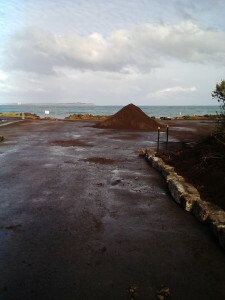 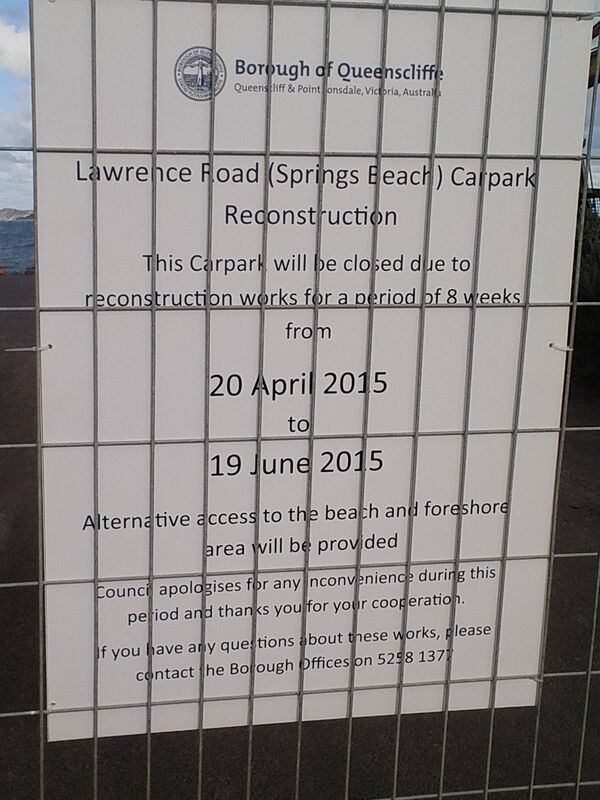 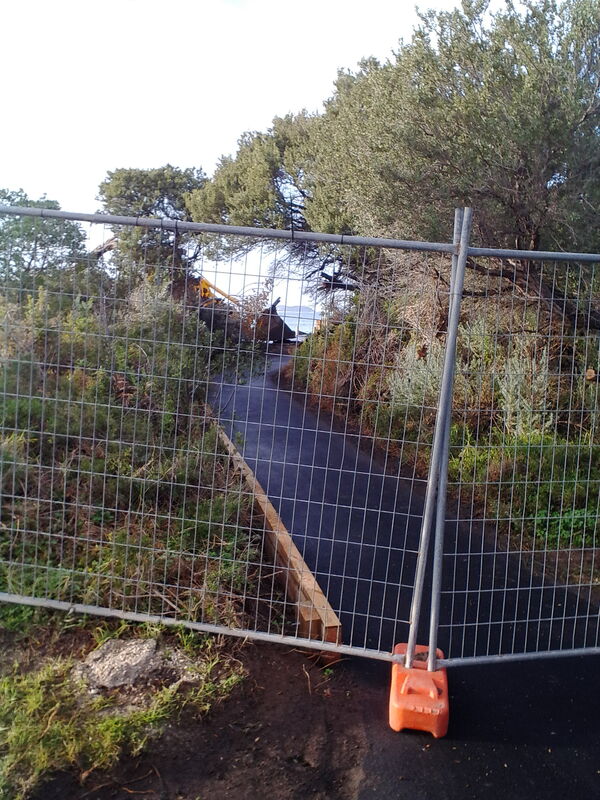 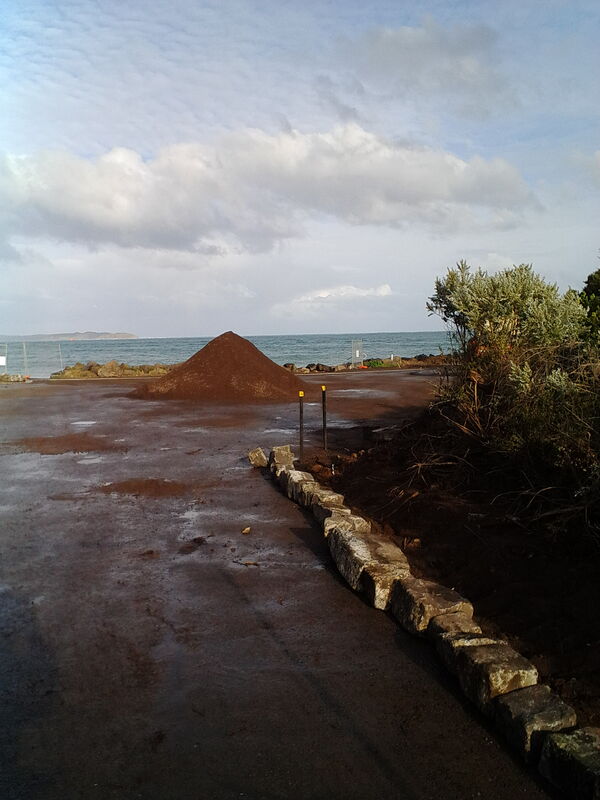 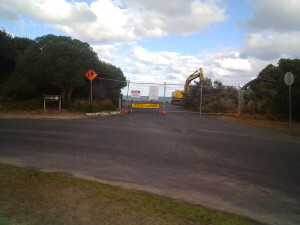 Springs Beach Access closed – Construction Works. 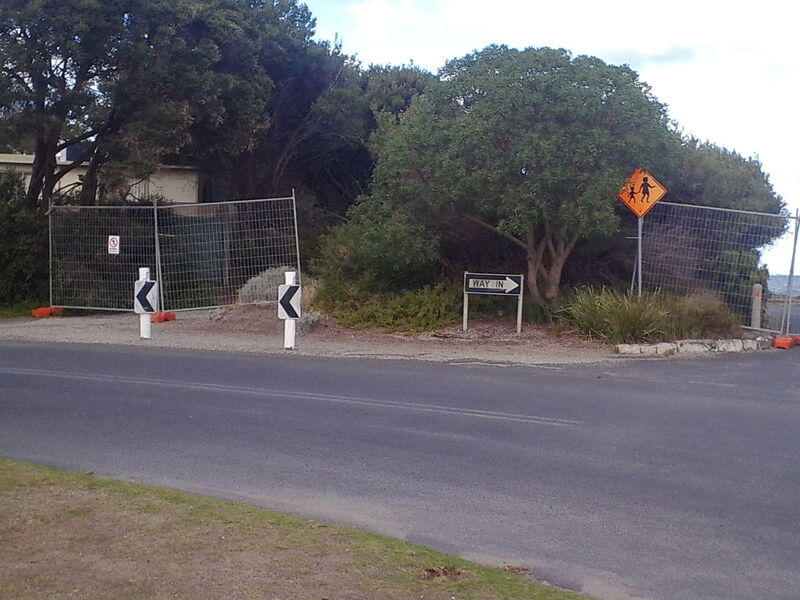 Please note Pedestrian Access is also restricted – you’ll need to go around to back of Pt. 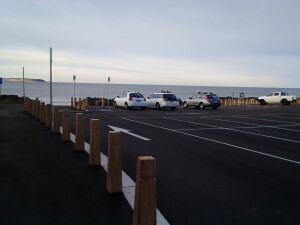 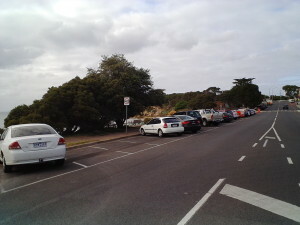 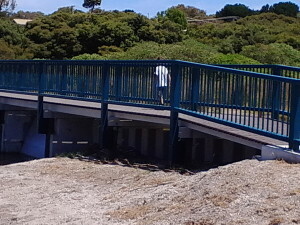 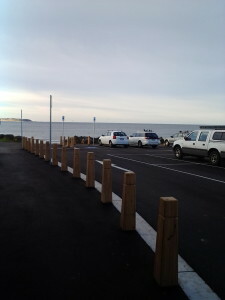 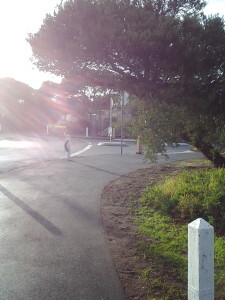 Lonsdale Oval to access the Promenade. Walking Path Construction – Arcare to Fellows Rd. 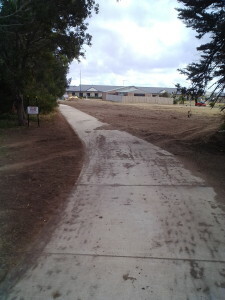 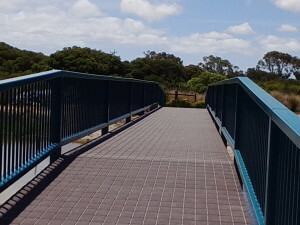 Part of Stage 3A of “The Point” Development, is a Walking Track from Arcare Nursing Home eventually to The Springs, first part will be to Fellows Rd. 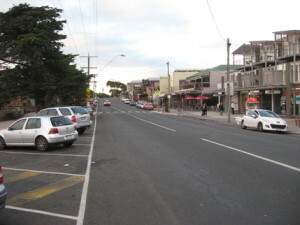 New Light Poles – main street. Poles have just been removed from Point Lonsdale Rd from Admans St to Kirk Rd. 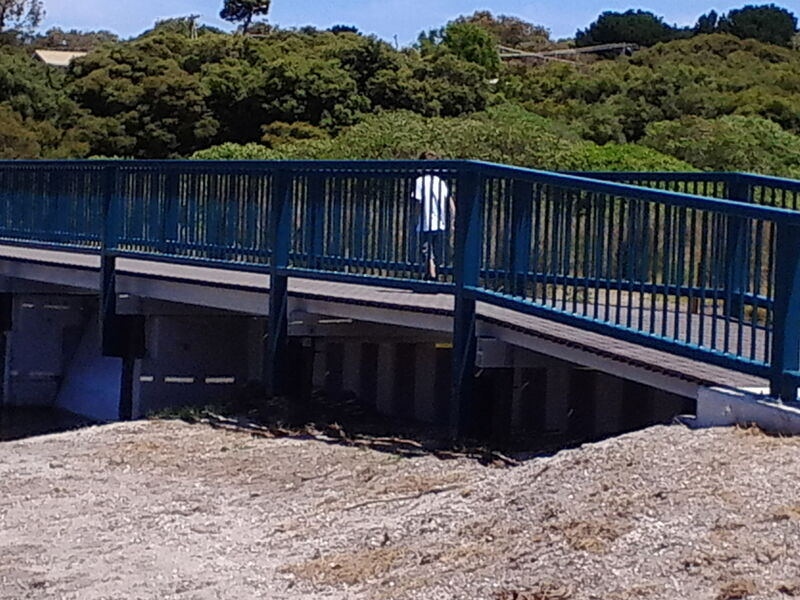 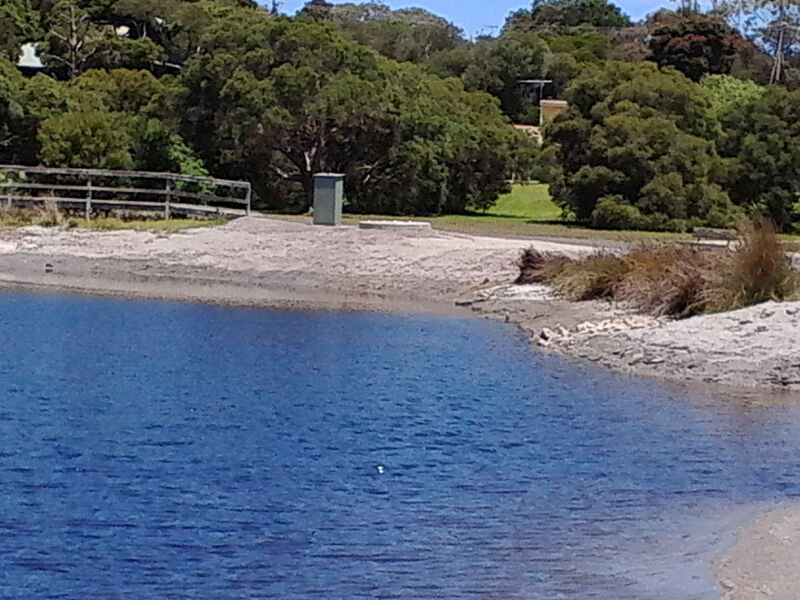 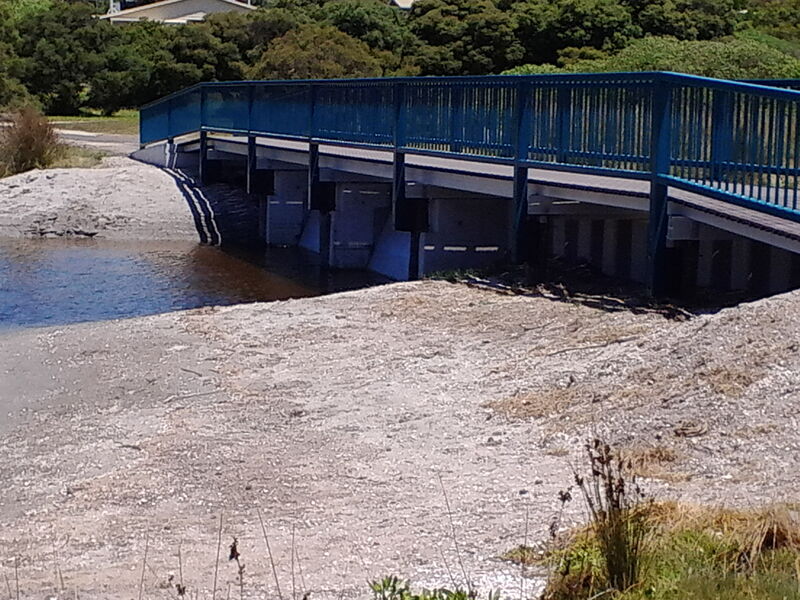 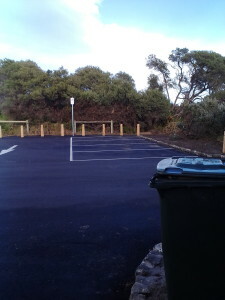 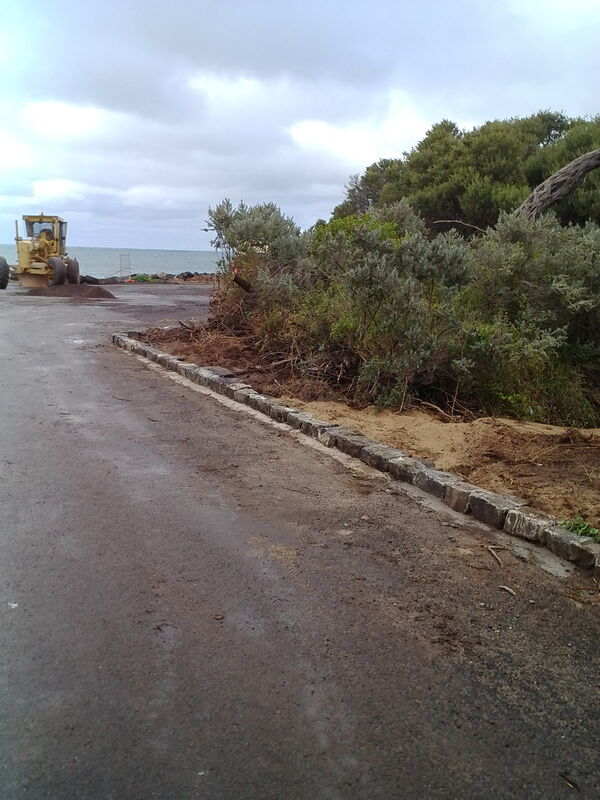 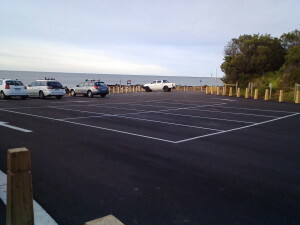 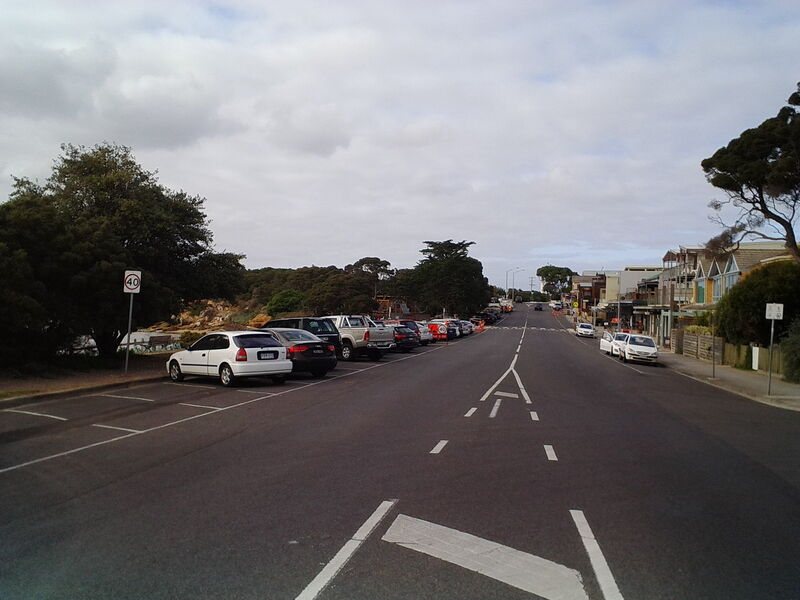 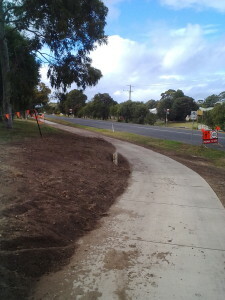 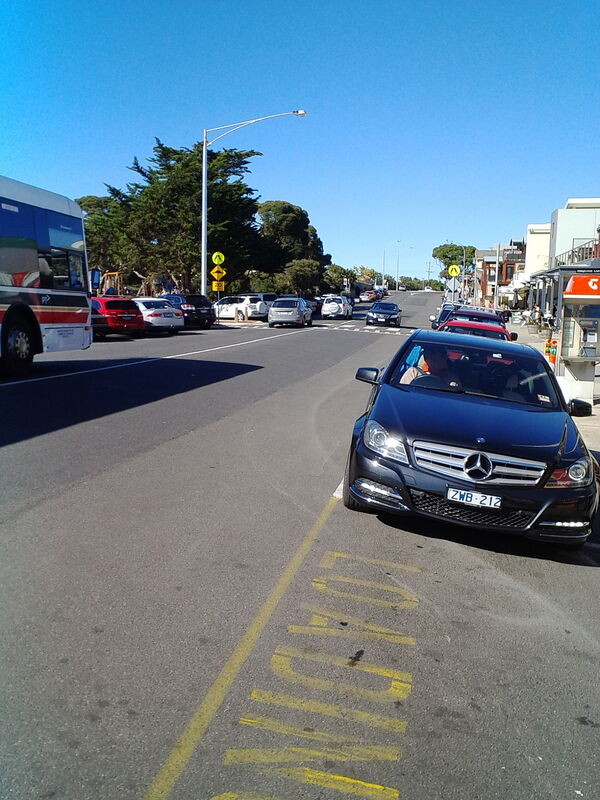 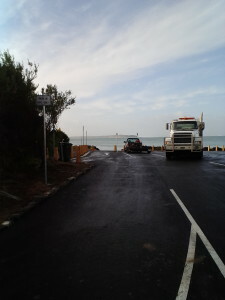 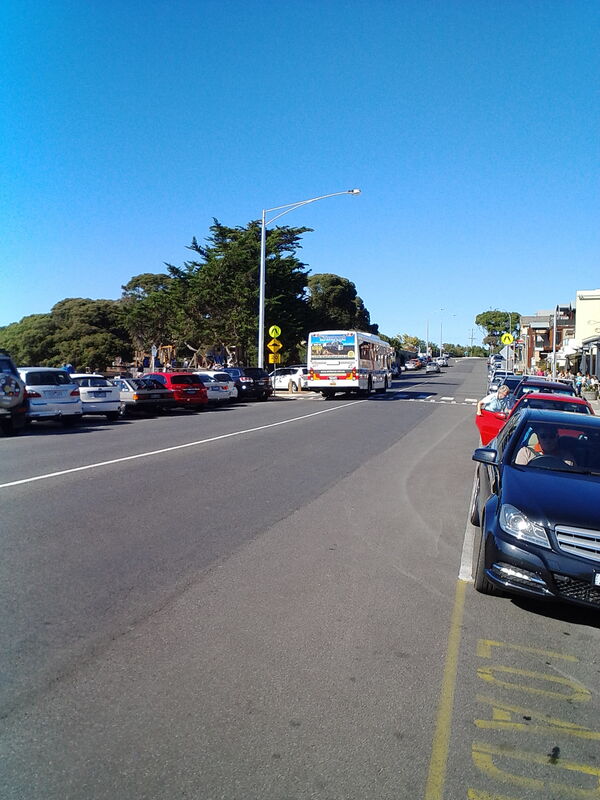 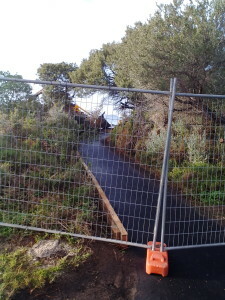 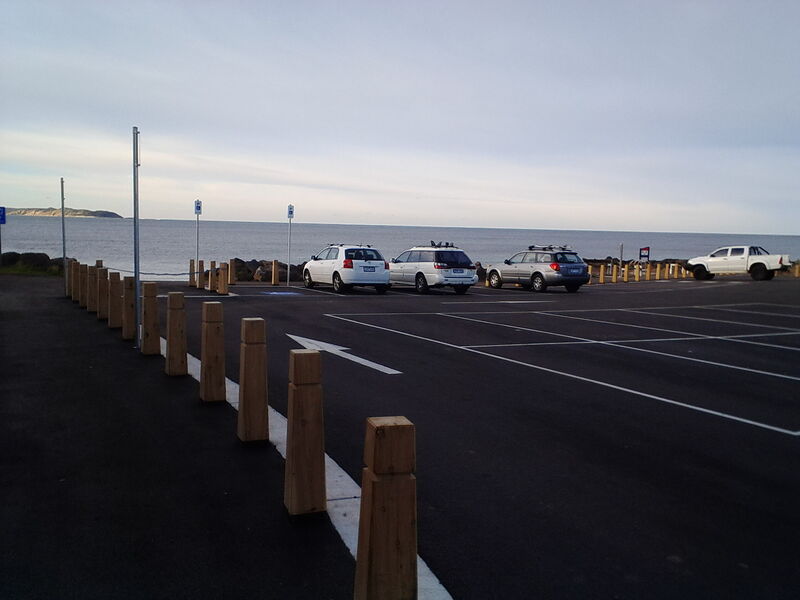 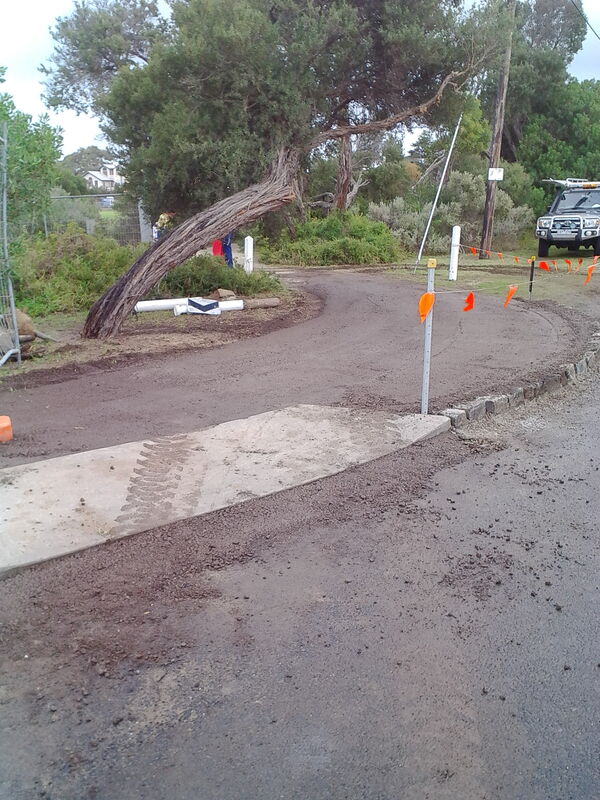 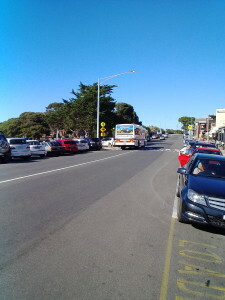 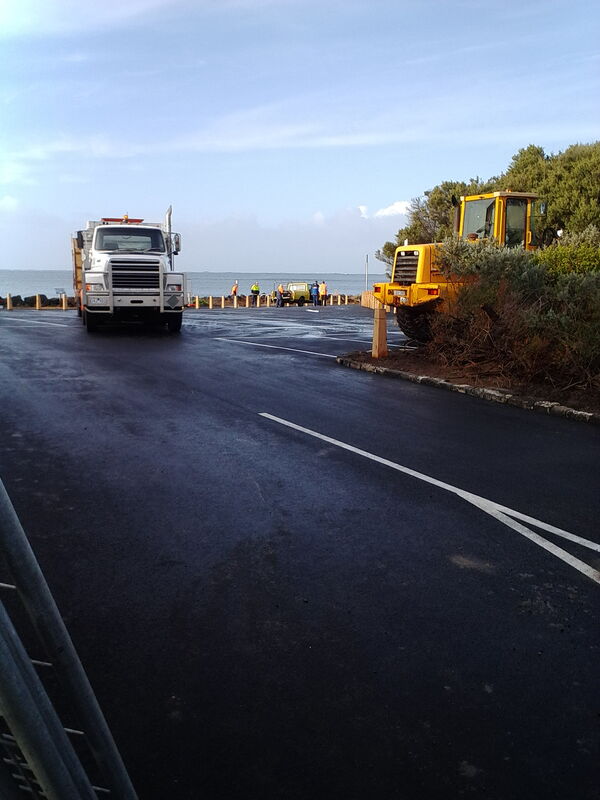 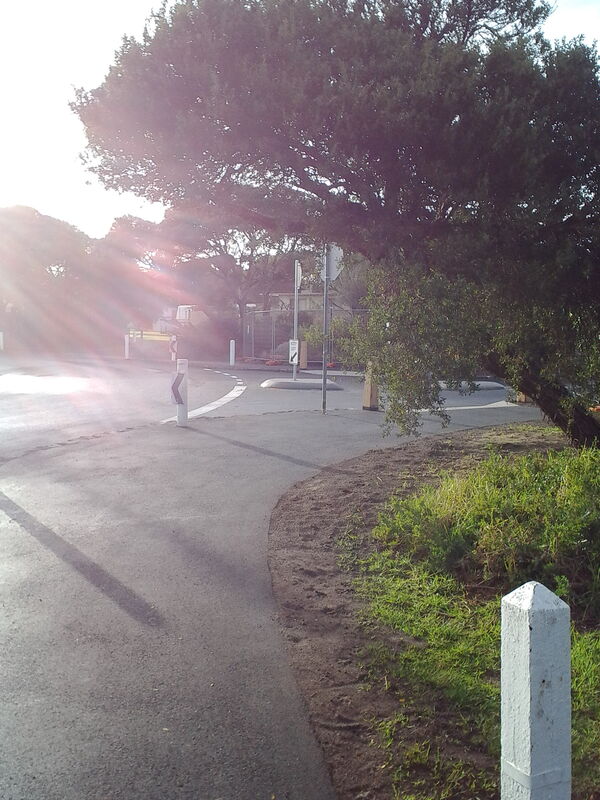 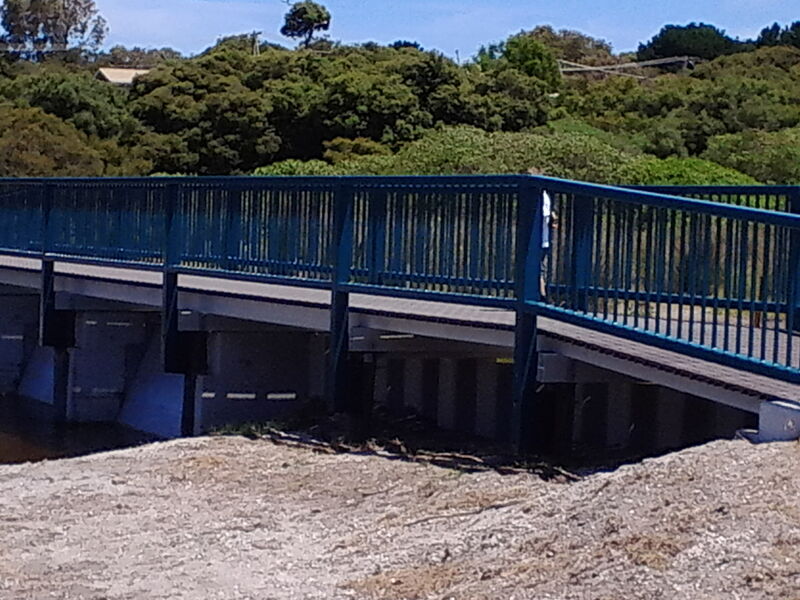 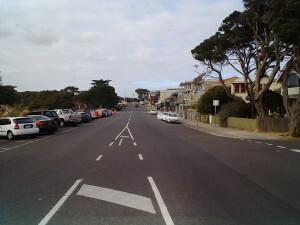 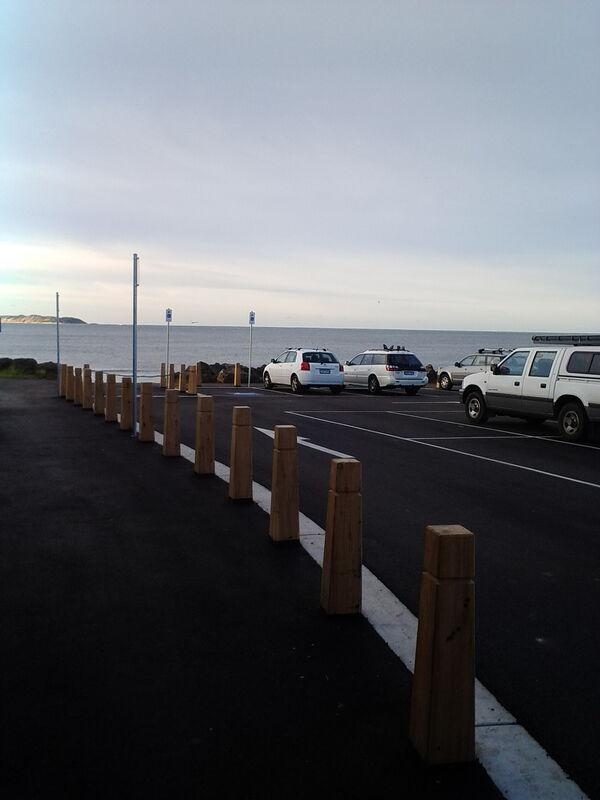 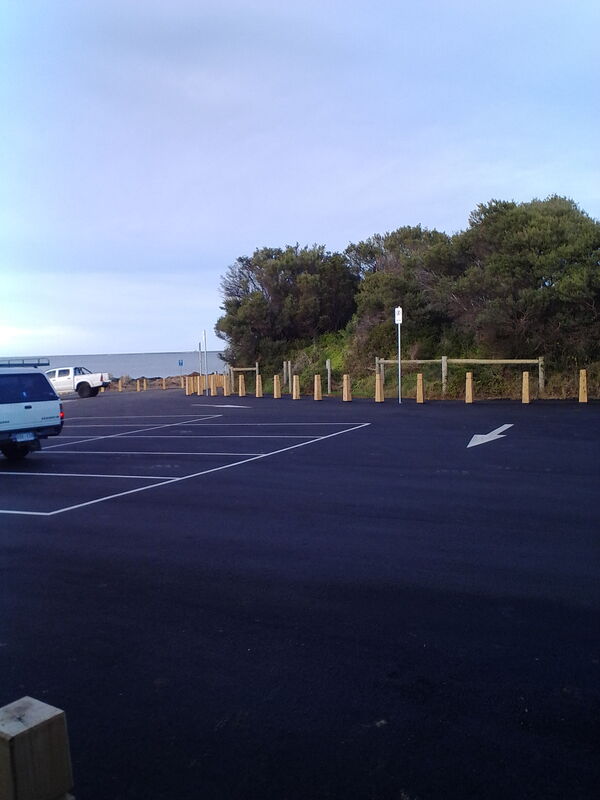 The works have finished at Emily St Pond, in Pt Lonsdale. 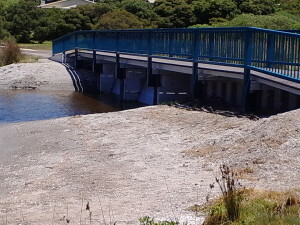 The works were to construct a Weir, Pump and associated works to mitigate the flooding in the nearby streets that has been an issue for some years. 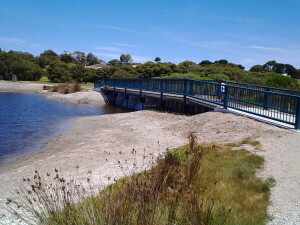 The CoGG spent in the vicinity of $300,000 to construct the Weir and associated works. 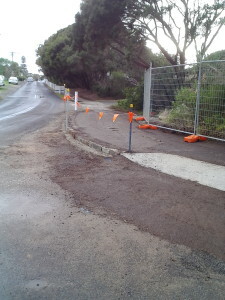 Local Residents have reported so far so good with the improved drainage around the “Hollywood Estate” after heavy rain. No issues have been reported to us. 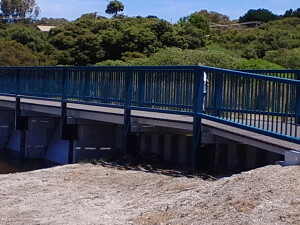 Here are some pictures taken of the completed Weir and footbridge, control cubicle (monitored by by CoGG) and finished earthworks. 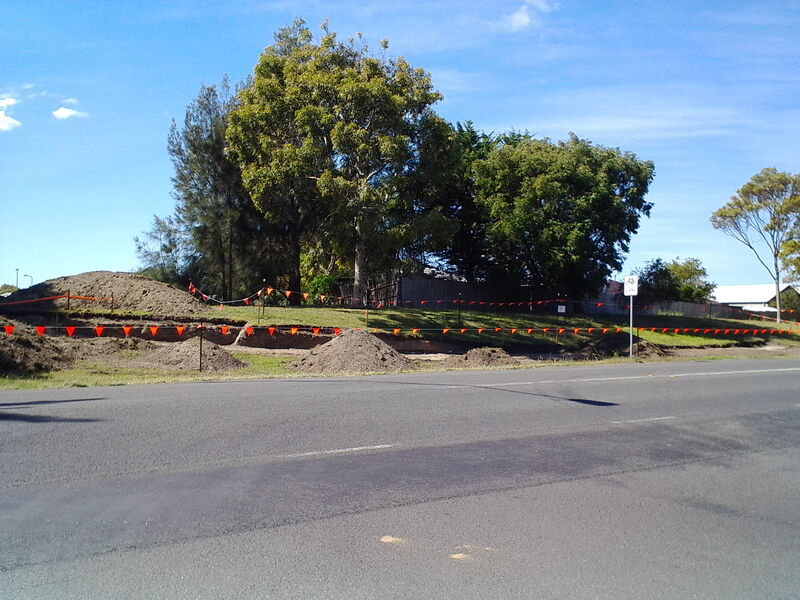 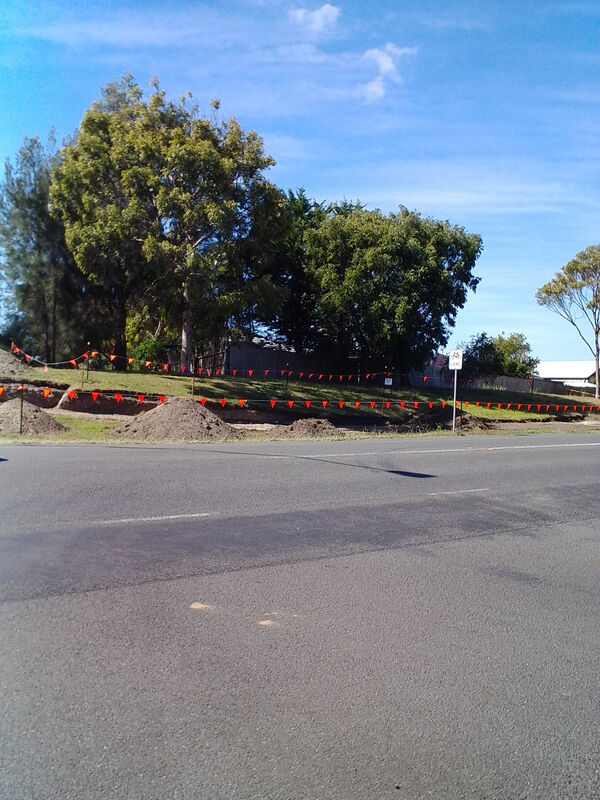 The roundabout at the corner of Admans Street and Point Lonsdale Road has been constructed and will be finished off with plants in the Autumn. 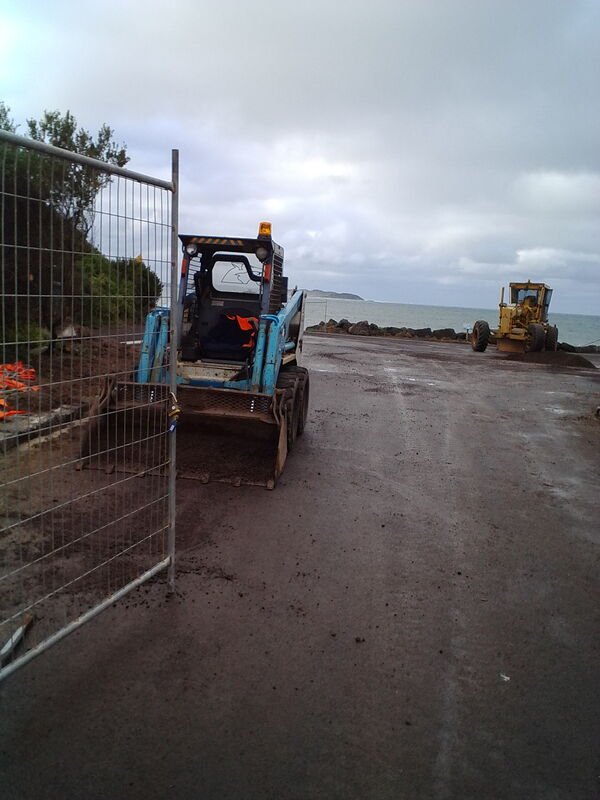 The works on the foreshore have been delayed by unseasonably heavy rain but it is expected that the area in front of the shops will be completed before Christmas. 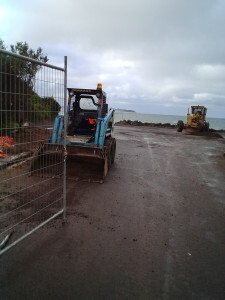 The work at the northern end of the foreshore has ceased and the site will be tidied up in the short term but is expected to be completed in February. Public consultation regarding the foreshore vegetation is expected to commence in January and will run for two months.